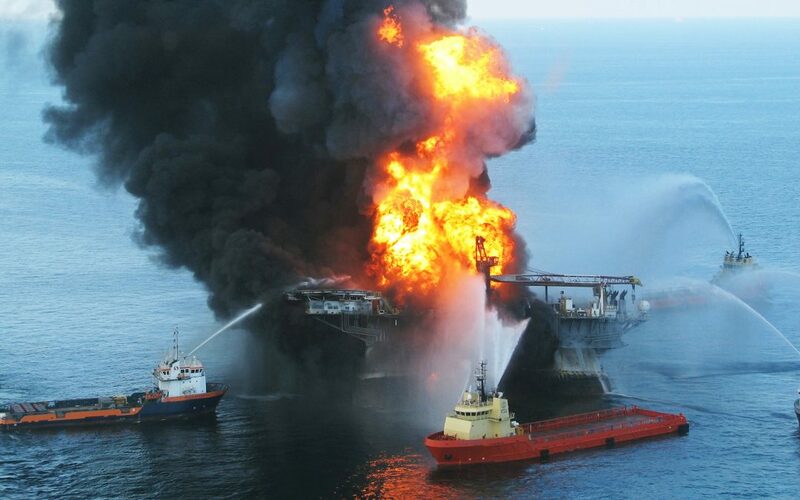 Former EPA Regional Administrator Judith Enck calls out Interior Secretary Zinke for his plan to open up oil and gas drilling. EarthDesk, published regularly during the academic year, is the online journal of the Dyson College Institute for Sustainability and the Environment (DCISE) at Pace University. John Cronin, editor. 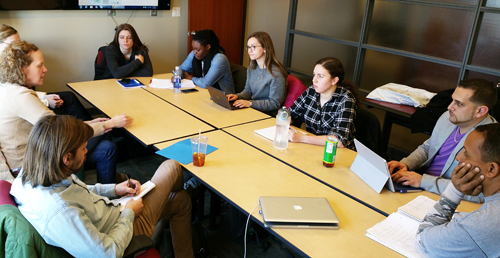 Environmental Policy Clinic Students at Work. 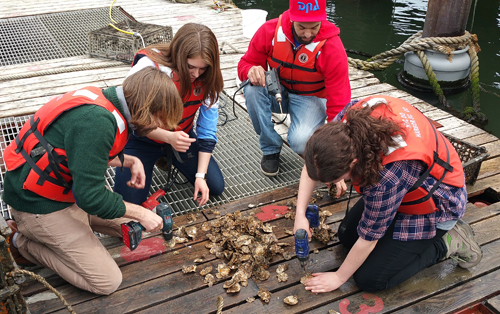 Preparing oyster shells for tagging at the Billion Oyster Project, Governor's Island. 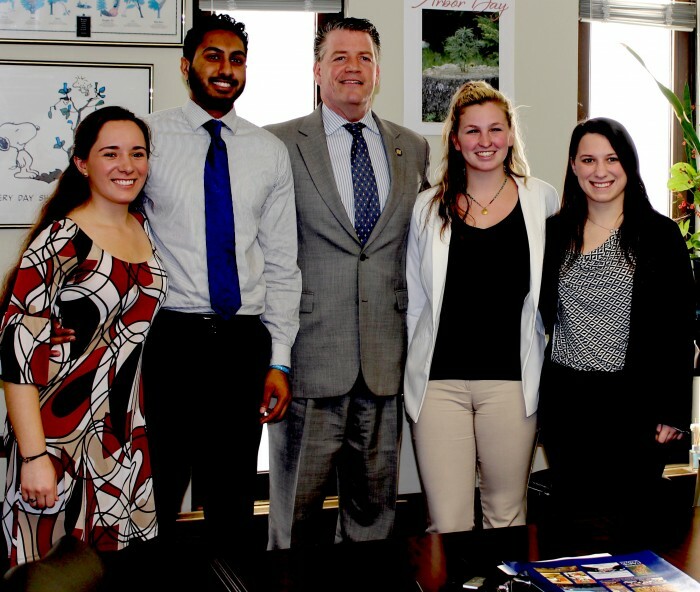 With New York State Senator Terrence Murphy (center) in Albany to discuss state policy regarding mistreatment of elephants in circuses. 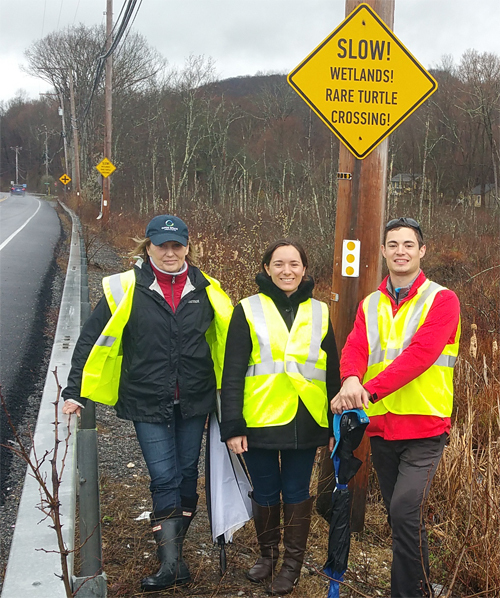 Investigating turtle mortality on a Putnam County highway in Cold Spring, NY with county legislator Barbara Scuccimarra (L.). 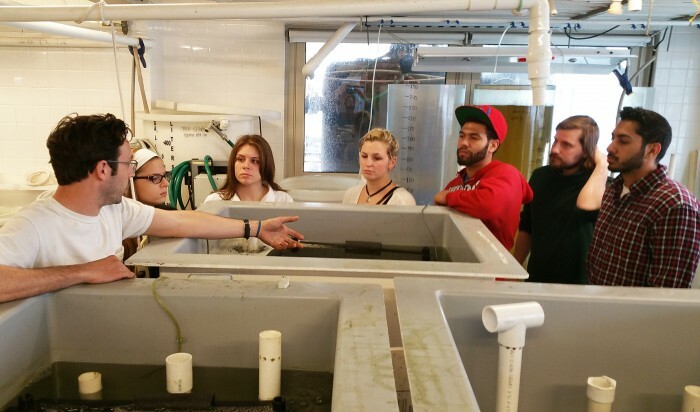 Learning the fundamentals of aquaculture at the New York Harbor School. 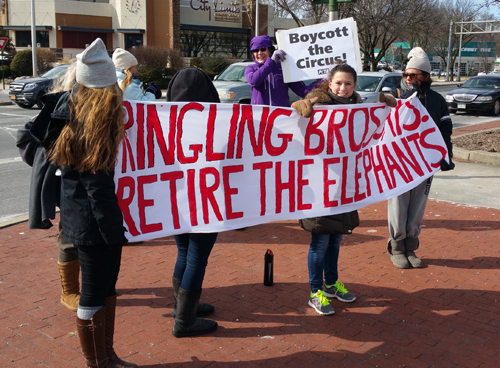 Demonstrating against the use of elephants in circuses, Hanneford Circus, White Plains, NY. Crafting oyster regulation policy with Debbie Mans, NY-NJ Baykeeper, Pace, NYC. (L.). 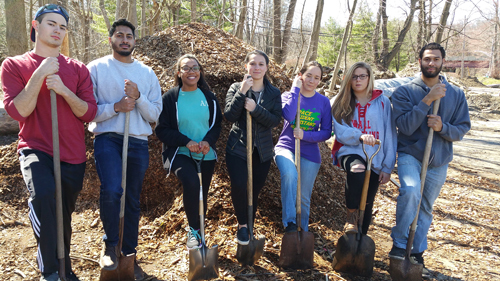 Ready to dig into wood chip pile to feed campus composter, Pace, Pleasantville. 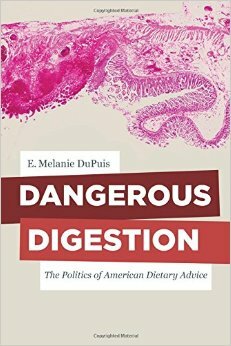 Inspired by new scientific studies of the human body as a metabiome, Dr. E. Melanie Dupuis, Professor and chair, Department of Environmental Science and Studies, reimagines the American body politic through a new metaphor — digestion — opening social transformations to ideas of mixing, fermentation, and collaboration. In doing so, she explores how social activists can rethink politics as inclusive processes that involve the inherently risky mixing of cultures, standpoints, and ideas. Dangerous Digestion at Amazon.